The massive mammal, weighing more than 3,000 pounds, was spotted strolling around the streets of Palos de la Frontera in Huelva, Spain. 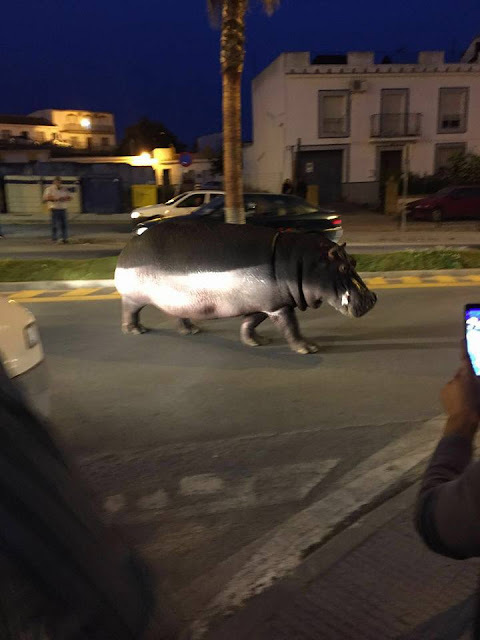 Hippos may look placid, but they can charge in seconds - yet that did not stop bemused passers-by taking photos and videos of the unusual scene. This footage shows how drivers slow down as they go past it and several people even walk out in front of it without any concerns. One onlooker said: "Rather than causing any sort of alarm or panic, everyone seemed pretty cool with the situation.
" 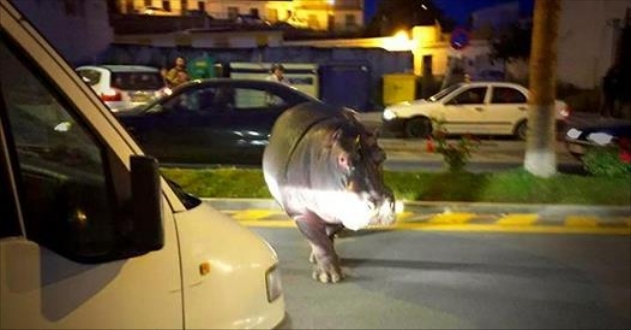 The happy hippo also led to a barrage of comments on social media. 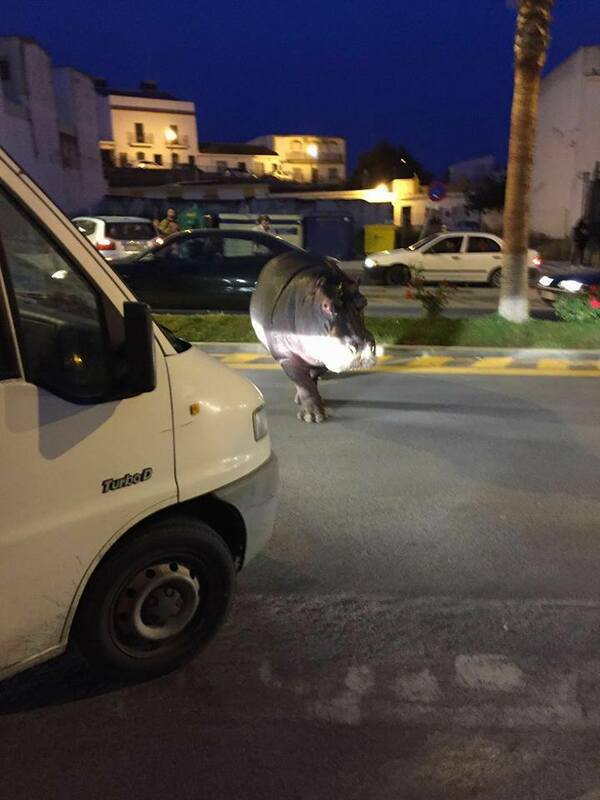 One read: "A hippo has escaped from a circus. It's walking around Palos de la Frontera!" Responses to "Hippo on the RUN: Escaped circus animal in bid for freedom - shocks people on the street"